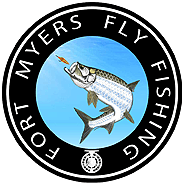 There are always a few questions that come up all the time for our fishing charters in Fort Myers. Below are the questions and answers, if after reading them you still have questions please call or text us we will be glad to help. Yes! – We rely on tips to help keep the cost of our charters down. In addition it takes at least 8 hrs of preparation and planning for every charter. Please consider tipping at least the same 15% that you would at a restaurant. We give you an adventure and help you make some great memories! No, your saltwater fishing license is included with your charter. No – Our customers charter with us because they want a private charter where they enjoy having the boat and the captain to themselves. This allows them to make changes to their charter if the fishing is great and they want to stay longer. A: Yes, to reserve your charter we require a $100 deposit for each day booked. We cannot hold your charter date until we receive the deposit. A: Yes you can bring your own fly rod and reel, but please remember that we will be providing you with top quality Fly Rods and Reels. If you feel the need to bring your own gear, then you will need at least a 9 foot, 9 weight rod with a floating line. A: There are no restroom facilities on board, but there are bathrooms where we meet and drop you off. We also have access to private restrooms that are located around the areas we fish. A. We provide high quality rods and reels, both light tackle and fly fishing. We also supply all the lures, baits, and any other tackle needed including flies and leaders. We also include is ice cold bottled water, and a large cooler with ice for your personal beverages and snacks. We have a digital SLR camera to take high resolution photos of your catch. This is especially important on our Ft Myers night fishing charters. It is very difficult to take good night fishing photos. A: On our fly fishing charters we allow a maximum of two people on board regardless of whether they are fishing or not. Having more than two people on a fly fishing charter would take away from the experience for our clients. It is OK for one of the fisherman to be using spinning gear. A: No – We have plenty of room in our on-board cooler for your beverages. Remember that we have limited storage space and we won’t have room to store your cooler.